What is better at the end of a long day’s adventure under the midnight sun than relaxing with a nice cold microbrew? With more than 15 microbreweries located around the state, there are plenty of opportunities to experience the tantalizing tastes of Alaska’s custom brews. 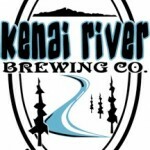 An hour east along the Sterling Highway from the Kenai Princess Wilderness Lodge, is the Kenai River Brewing Co. With a friendly staff and a newly installed spacious tasting room, it’s the perfect place to take a break from your Kenai River fishing expedition and enjoy one of their handcrafted brews. Kassik’s Kenai Brew Stop located in Nikiski, Alaska is an hour and a half drive east of the Kenai Princess Wilderness Lodge. Frank Kassik and his wife Debara, run the brewery out of a small warehouse nestled in the woods adjacent to their home. Since 2006 the brewery has been serving up eight crisp hand crafted brews and offering tours upon request every other Friday. If you’re looking for a variety of brews and great food, look no further than the Denali Brewing Co. and their sister establishment, Twister Creek Restaurant. Located on Main Street in downtown Talkeetna, it is the perfect lunch or dinner spot for your next trip to the Mt. McKinley Princess Wilderness Lodge. The Denali Brewing Co. has a tasting room available everyday in the summer from 12 – 8 p.m. 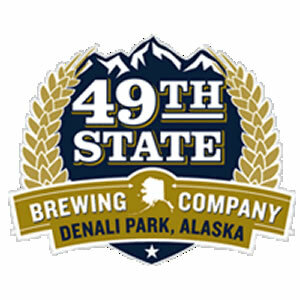 Enjoy a tasty burger or steak while you sip on one of the fine hand crafted beers from brew master Jaon Bullen’s rotating collection of freshly brewed beer at the 49th State Brewery. Diners can even take a peak into the brewing area where all of the magic happens. Summer hours of operation are from 3 p.m. to 4 a.m.
America’s most northern brewery, Silver Gulch Brewery, is worth a road trip to Fairbanks. Located in the small mining community of Fox, 10 miles north of Fairbanks, on the Steese Highway, the brewery features four-handcrafted bottled draft beers that are offered year-round, and seven specialty beers. During your visit dine at the family friendly Silver Gulch Restaurant, or check out the state-of-the-art German brewing system capable of bottling over two hundred bottles per minute.